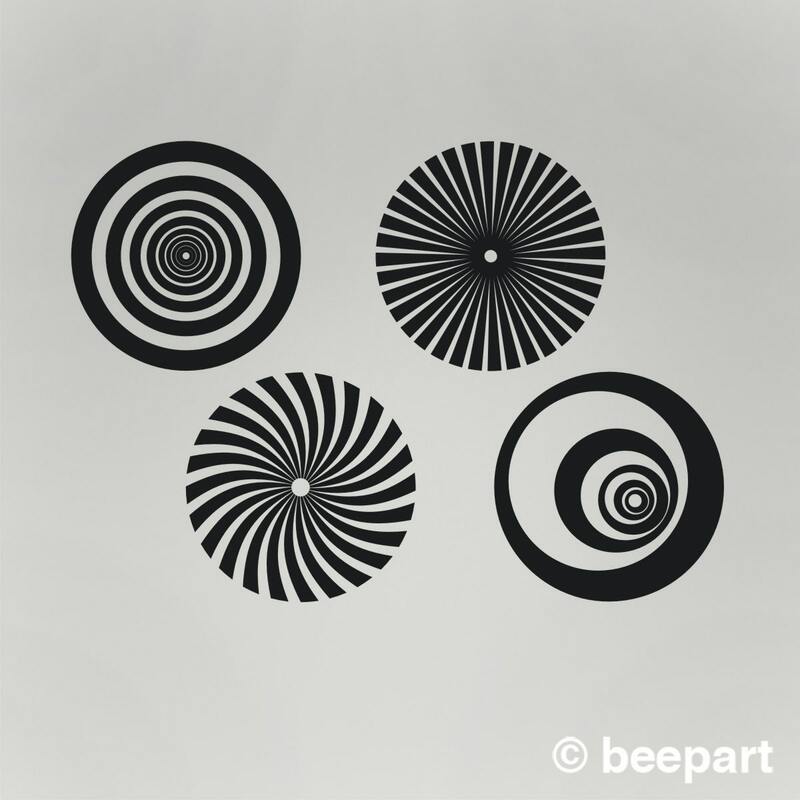 Our optical art vinyl wall decal set. 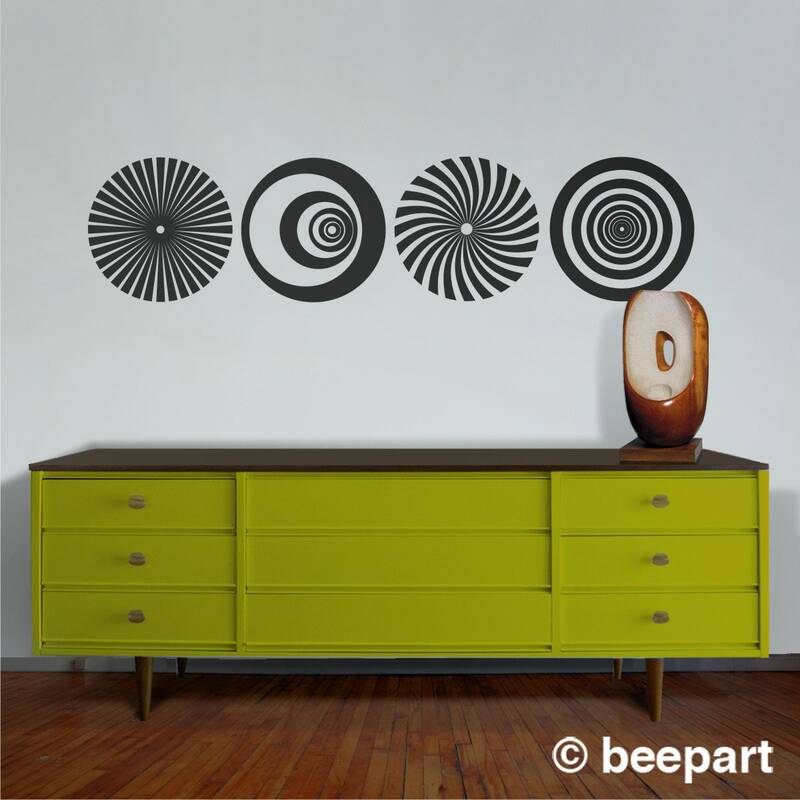 These classic psychedelic designs add a great vintage 60's look to any room! 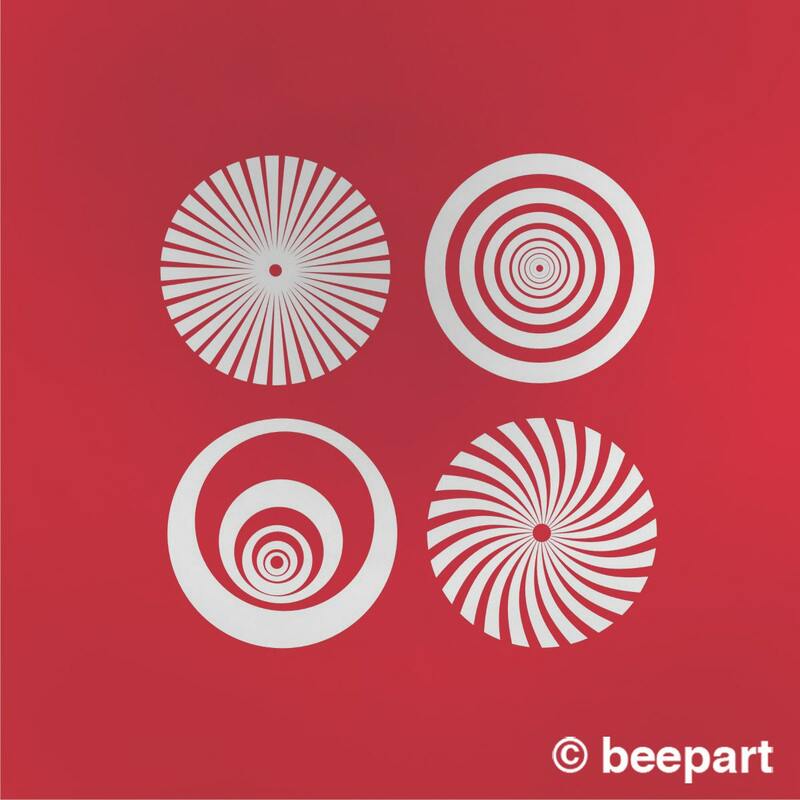 This wall decal set comes with 4 individual trippy elements measuring approx. 14" x 14" each. *Customs sizes can me accommodated, please contact us for more information.